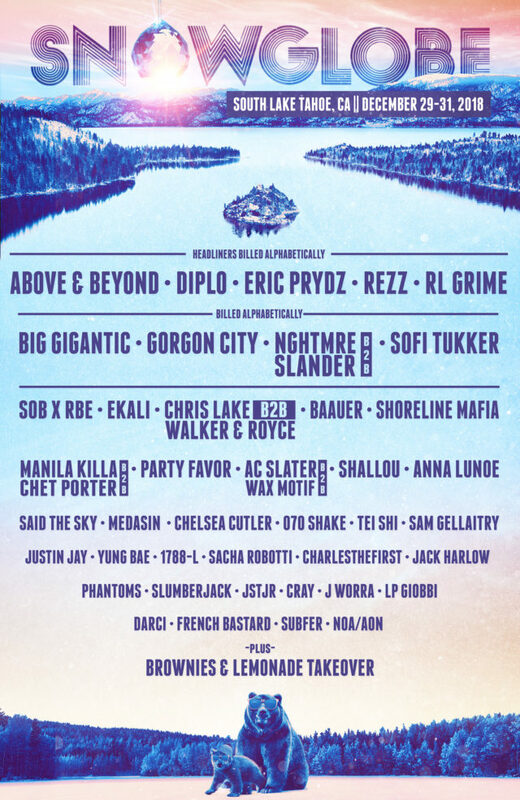 SnowGlobe Music Festival 2018 lineup. Photo provided. An electric mix of music is set to cascade throughout the Sierra Nevada Mountain Range on December 29-31 for the 8th Annual SnowGlobe Music Festival. The event will take place at Community Play Fields, located at 1 College Way [South Lake Tahoe, CA 96150]. 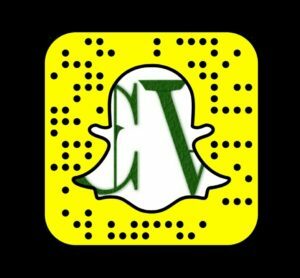 Shuttles will be running from nearby cities, review their main website for more information. Artists set to appear at the three day event include Diplo, Above & Beyond, Eric Prydz, Rezz, RL Grime, Big Gigantic, Gorgon City and additional live acts. Guests will need to dress warm for this occasion. Plan ahead and celebrate New Year’s Eve with SnowGlobe. The festival organizers have noted that there will be three live stages of music, new art installations, and the return of SnowGlobe’s Big Air showcase featuring professional ski and snowboard demos in-between performances. Browse over highlights from 2017 and the artist lineup below. Tickets available via the festival’s main ticket outlet via Eventbrite.